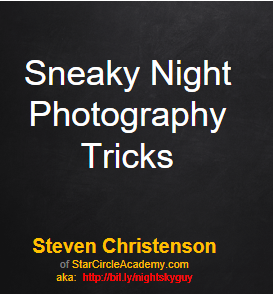 Did you attend the Sneaky Night (and Daylight) Photography Processing Tips event held at Adobe in San Jose, California on July 23, 2018? Welcome! 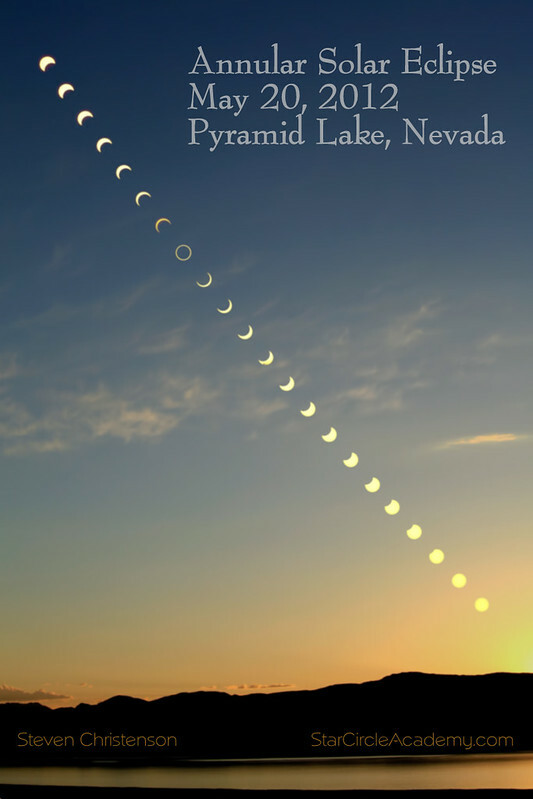 Combining twilight or daylight images with night image(s) to make a stunning photo. Clever gear and camera tricks to achieve better night photography results. How to get a better (night) image from the git-go. > Don’t overcrank the ISO. Or asked another way. Do these look like they might be the makings of an interesting shot? 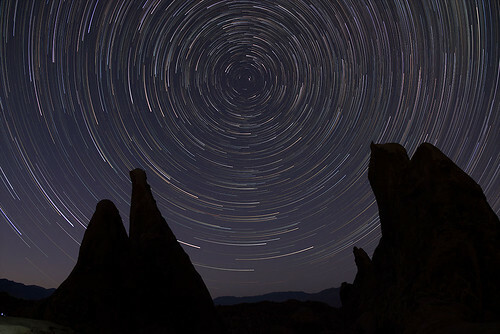 Combining the images shown in the thumbnails, nets this Interesting star trail. 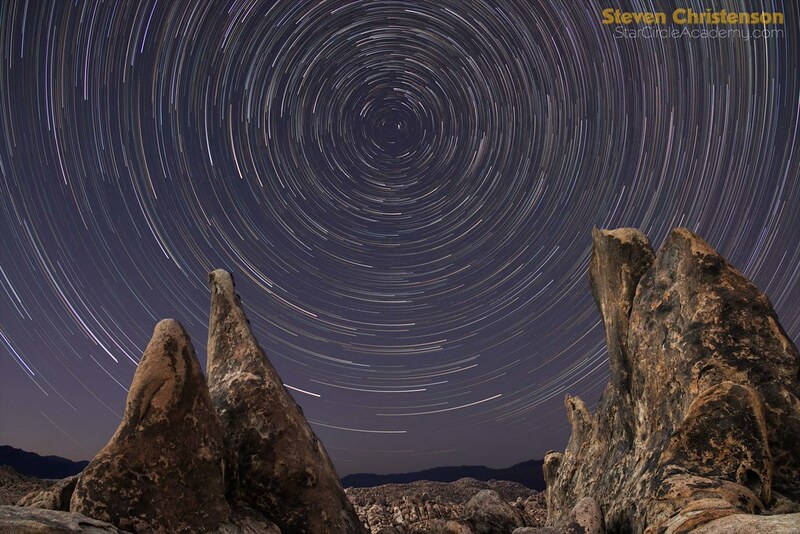 Creating the Star Trail component above is discussed in detail in our NP105: Creating Star Trails & Timestacks Webinar – it’s an interactive 2 hour course with notes, a recording, and practice files. We run that webinar approximately quarterly next event is July 25th. Details covered include how to set up the shots, configure the camera settings, and combine the images using various tools. And that MUST be interesting because it garnered 80,000 views in just a few days. How do you do this bit of Photoshop Magic? Over the years, we’ve shown quite a few methods for accomplishing this. For example in Foreground – o – Matic we illustrated how to use the quick selection tool. 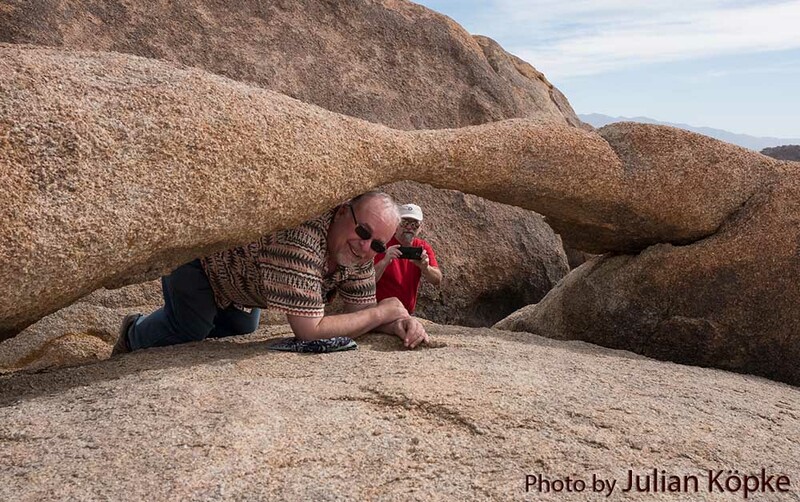 That may work well here because the rock has a nice crisp boundary. Other methods that may work include “thresholding” and Color Range selection. Thresholding to create a mask: We’ve described this before. Briefly this is how it works. Select one of the images – one with contrast between the sky and foreground. Duplicate that image (Ctl/Cmd -> J). Then use Image -> Adjustments -> Thresholds and slide the carat left or right until it has selected what you want (mostly black or white). Paint out the stray areas with either a 100% black or white brush as appropriate. When done, you have an image you can use as a layer mask. The trick to doing this is to select the black and white image, EDIT an existing layer mask, and paste the black and white image as the layer mask. Do work on a calibrated free-standing display in a dim, consistently lit room. Do NOT attempt to process important images on a laptop monitor. You will frustrate the dickens out of yourself trying to get consistent color, brightness, and so forth on a laptop monitor or in an uncontrolled lighting environment. The monitor display angle can cause subtle to dramatic differences in color, saturation, brightness. Do name your layers sensibly. You may save yourself a world of hurt. Do NOT crop too early – save this step for last. 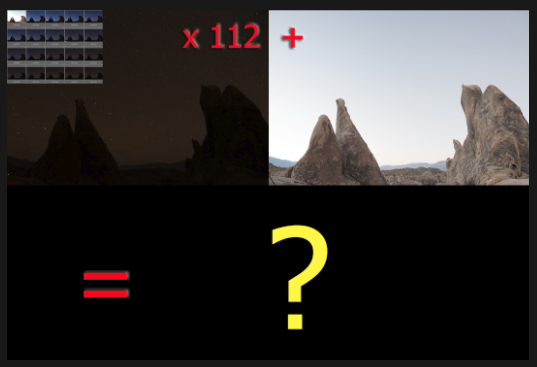 When combining dark and light subjects (e.g. daylight-like and night) it’s usually best to have very crisp selections – not feathered selections. Duplicate layer dialog allows you to duplicate into another/new document! Ctl–Alt–Shift-E Merge visible layers to a new layer as a COPY. Shift–click on layer mask to turn it off or on. Ctl–drag layer mask to move it to another layer. Alt–click a layer mask to EDIT it. Alt–drag a layer mask to copy it. Toss in Shift to invert the mask. Do not be afraid to duplicate and adjust a layer for the sole purpose of creating a mask! Ctl–click on layer mask to create a selection from that layer mask. Ctl–click on a channel e.g. RGB, R, G, or B to make a selection based on brightness. Sometimes Select -> Modify -> Expand or Contract (by 1 pixel) helps to fine-tune a selection. 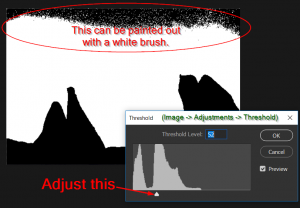 Feathering seldom works well for compositing light and dark images. Notes from "Sneaky Tips for Processing Day and Night Photography"
This entry was posted in Composites, Photo Processing, Photoshop, Selections and Masking, Stacking, Uncategorized, Workflow and tagged color range, hot-keys, layers, masking, selections, shortcuts, threshold on July 22, 2018 by Steven Christenson. One of the great things about developing a repertoire of tools and tricks for processing photos is applying those tools in creative ways. 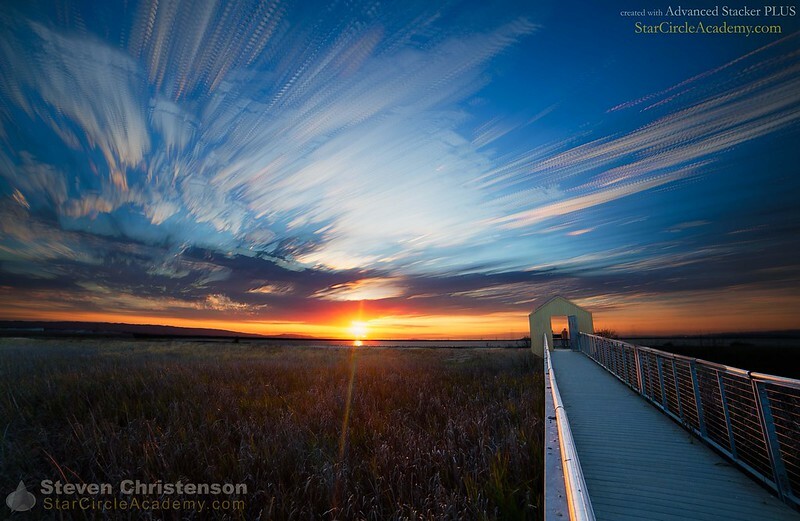 While we were furiously working on Advanced Stacker PLUS for creating star trails and processing night sky images, one clever fellow: Matt Molloy gained great acclaim by stacking sunset and sunrise shots of clouds skittering across the sky. 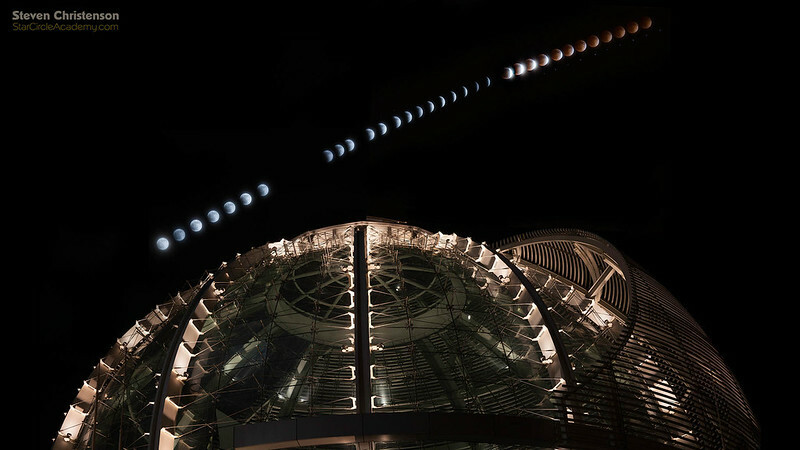 Matt Molloy coined the phrase Time Stacks for that type of image. Phoenix Leaping – 20 separate frames combined in Lighten Mode plus an extra foreground frame. Where Steven lives in the Silicon Valley, it is difficult to get good conditions for clouds. Indeed, the San Francisco Bay Area has so many blue sky days that having clouds is a stretch – in the Bay Area the options are either low thick clouds (fog), or zero clouds. However occasionally conditions are right – or Steven travels where conditions are right – for creating these shots. Of note are dry climates with mountains and high winds during seasons with moderate moisture in the air. 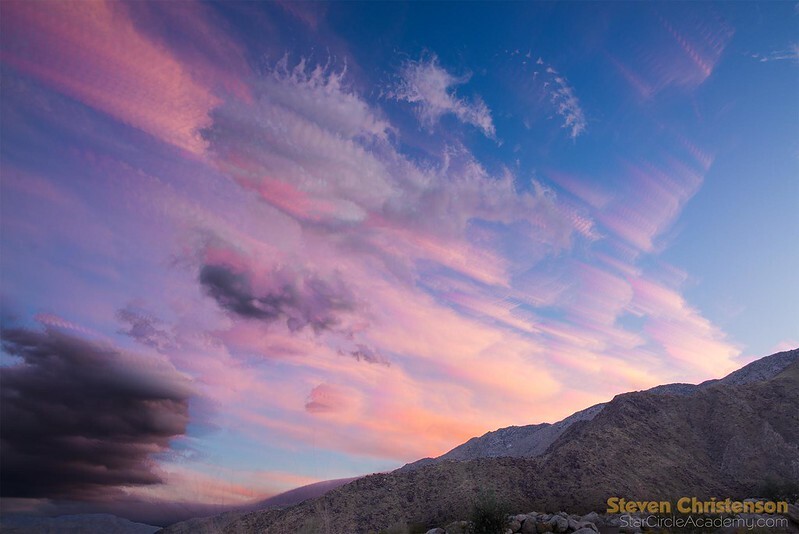 In March in Palm Springs, California, for example Steven watched as clouds formed due to the uplift of the Mt. San Jacinto mountain range and dissipated quickly as the young cloud wandered eastward away from the peak. Literally you could watch clouds form and dissolve in a matter of minutes. In the image above, you’ll notice that some low clouds moved slowly and didn’t dissipate. Because the denser low clouds were in the shadow of the mountain they grew dark and ominous. You can see more variations on the same theme by checking out this set of images. What Conditions and Equipment Do I Need? You need partially cloudy skies and the clouds can not be slow creepers. The clouds should be vigorous sailors. How fast? Fast enough to cross a significant field of view in about 20 to 30 minutes. They need to move into an open area of the sky – clouds moving over other clouds won’t be as interesting. Like any compelling shot, the frame should include a worthwhile foreground. And finally, it helps if these conditions all occur near sunset or sunrise so you can get extra color in the shot. You will definitely want to use an Intervalometer (or an on-board Intervalometer if your camera has one). Shooting at regular intervals results in a more pleasing outcome. A sturdy tripod is also a must. Select a moderate aperture (f/8, for example), and a low ISO (200). The goal is to get a shot that is relatively long to get a little cloud blur from the cloud motion. 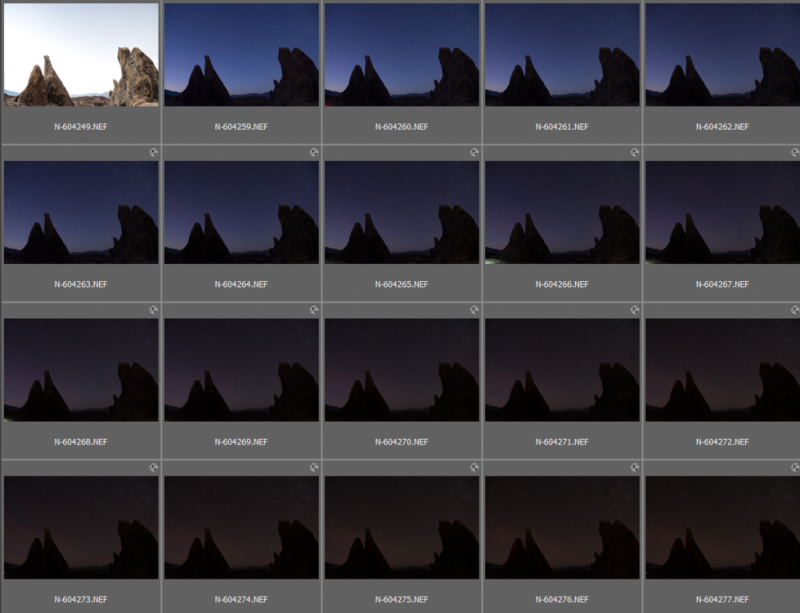 Since most interesting results occur right at or after sunset, start the exposures at 1 to 2 stops over exposed. Subsequent shots will get darker and finally dark to a point where the images will be too dark to use (e.g. 2 stops under exposed). While it may be tempting to adjust the exposure during shooting, we have found that strategy does not work well. You never really know which shots you will want to combine. Therefore it is best to do large sets (40-50 exposures) all using the same settings. Change settings (and optionally re-orient your camera), then get another substantial sequence. Be sure to include an exposure optimized for the foreground in the beginning and/or at the end of each sequence. The trickiest part is selecting the interval between shots. The speed of the clouds across the frame is the key here – and that can vary dramatically depending on your conditions. One possible method is to shoot once every other second, then cull out the interval that works best (which could be 10 or 20 second intervals), but a less memory and processing intensive approach may be to use 5 or 10 second intervals between shots (or longer if your clouds are sluggish). Also keep in mind that not all clouds will move at the same speed (or in the same direction! ), nor will they be illuminated alike. How Do I Process the Shots? 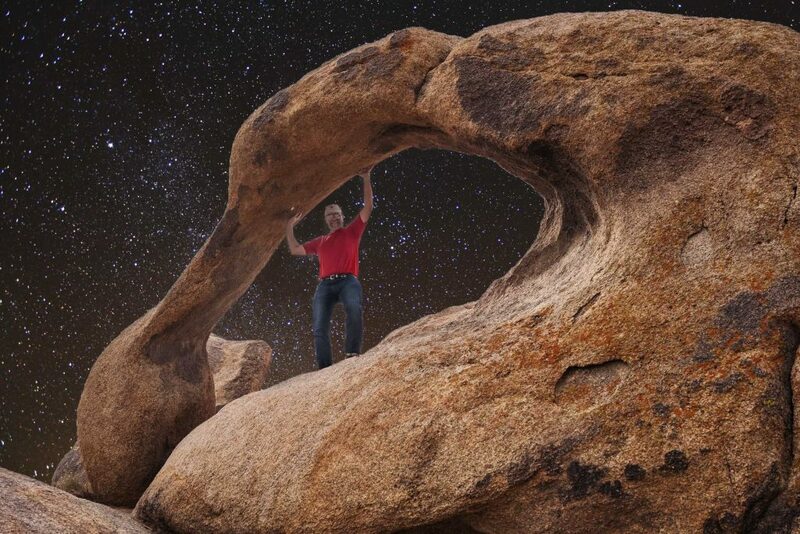 This is actually the easy part: use the same tools you would use to create star trails. That is, stack the images in Lighten mode. Understand that if clouds move over clouds the net result is sometimes quite unexpected – the brighter clouds (regardless of color) win. 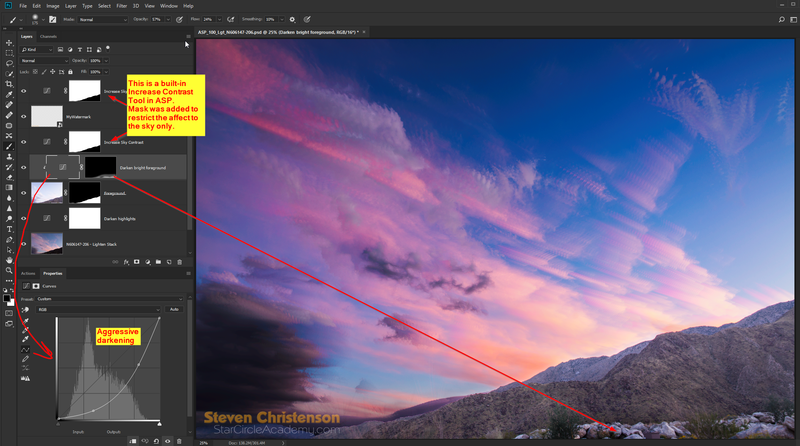 Above is a snapshot illustrating how this shot (62 frames in the life of clouds) was finished in Photoshop. 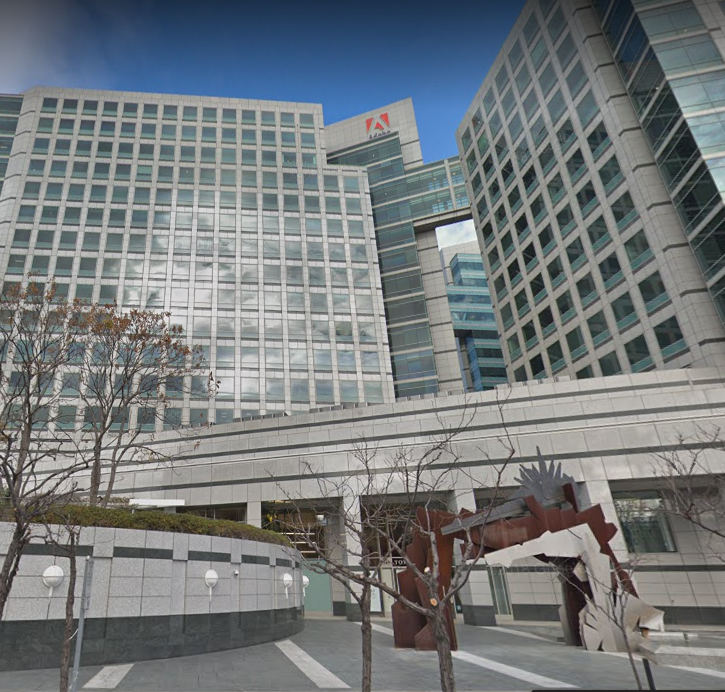 Two image contrast enhancements were added. The bottom layer is the stacked (lighten mode) image, the next image up is the intentionally over-exposed foreground. 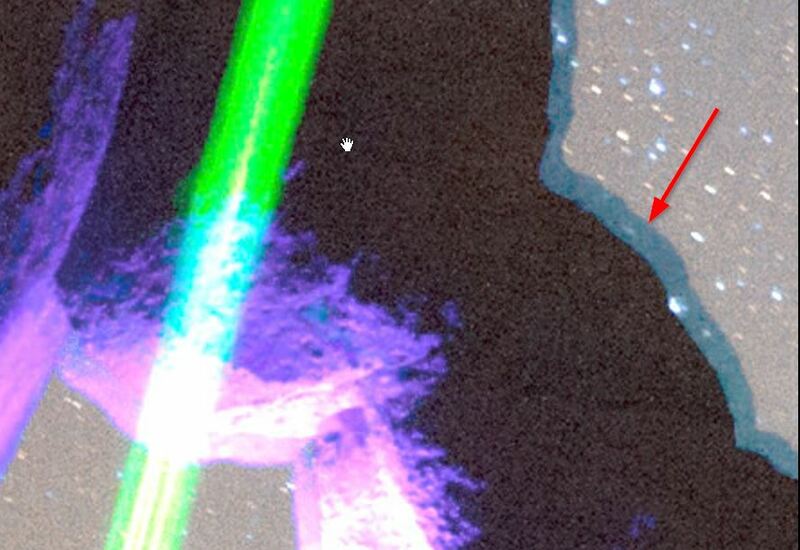 Notice that the “Darken bright foreground” is linked to effect ONLY the foreground image. Also note that darkening, and in many cases increasing contrast has the affect of increasing color saturation. No saturation or vibrance enhancements were done here. As with Star Trails, we also recommend that you do not alter any of your shots before you stack them – stack them in their raw form with NO adjustments. The result will look flat until you apply manual corrections and curves, but by not altering your shots before hand, the stack will work better and you are far less likely to introduce strange artifacts. Of course your Time Stacks do not have to be daylight subjects like this solar eclipse which was shot with a solar filter for all the shots except the last which was taken at sunset. Get creative and try other Time Stacks and share with us what you get as a result via comments! Want to see the technique preferred by Matt Molloy, master time stacker? See his tutorial here. 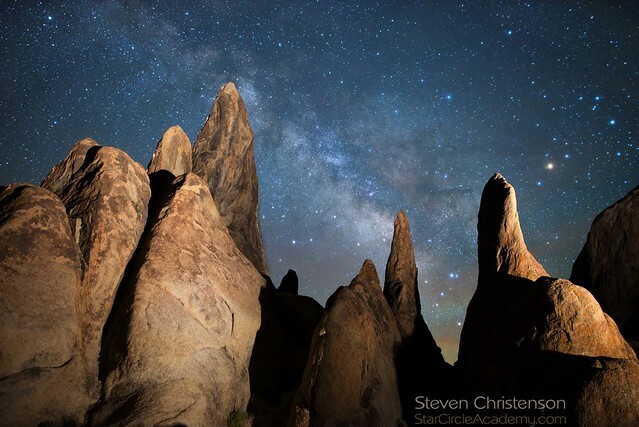 This entry was posted in Advanced Stacker, Composites, Creativity, Photo Processing, Stacking, Timestacks and tagged AdvancedStacker PLUS, atmosphere, clouds, daylight, movement, stacking, stutter, sunset, time stacks, tripod on March 6, 2018 by Steven Christenson. When we get questions on our older columns, we often answer them directly and update the articles to reflect new information. 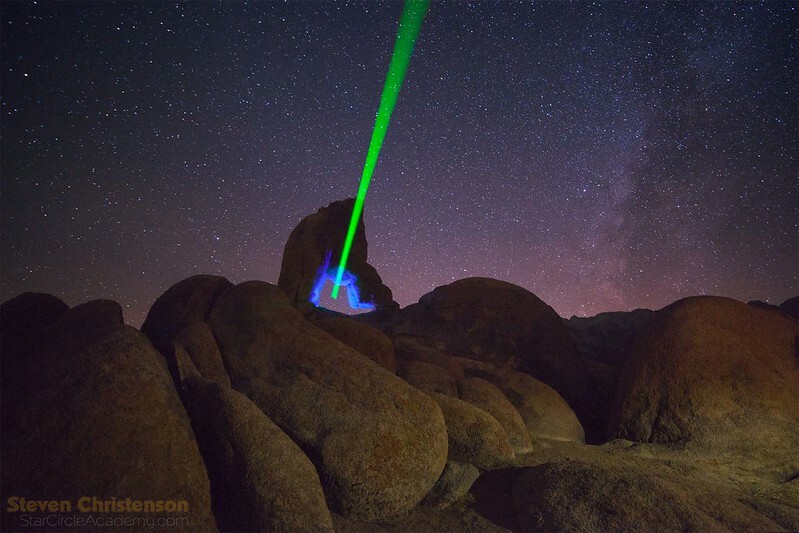 For example, when we originally published our three part series on Finding and Photographing the Milky Way we had no clue they would be our most read articles. Over time we added more charts, and tables, including a table listing when the best time is to spot the Milky Way – alas, not October through February. 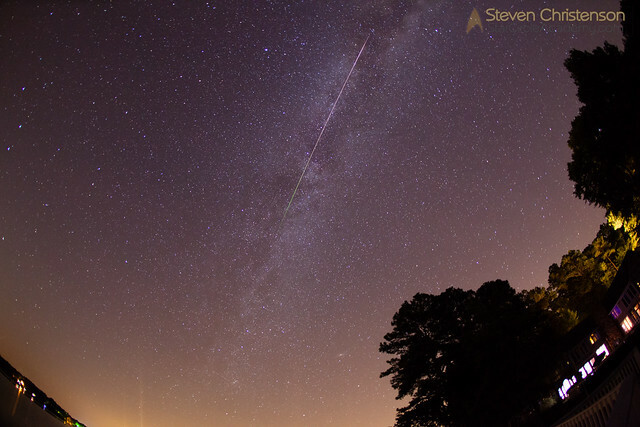 We have also made periodic updates to our articles on photographing meteors and meteor showers. We point this out because the best shower of the year is the Geminids and that shower occurs December 12-14. Start planning right now! To help you out, we have begun adding “Original Publish Dates” and “Last Revised” dates to our articles. Of course most of the principles we have written about are timeless. 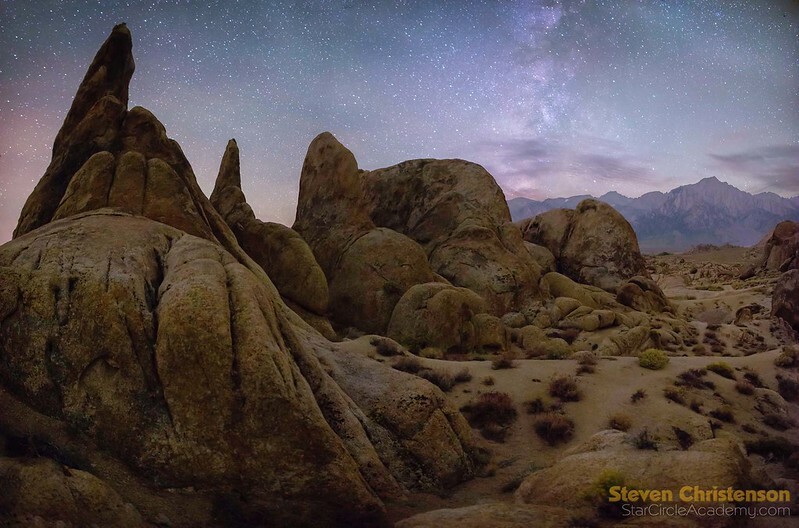 This entry was posted in Color Correction, Composites, Exposure and Contrast, Photo Tip, Review, Tools, Travel and tagged improvements, meteor, meteor showers, milky way, popular articles, revisions, tips, tweaks, updates on November 12, 2015 by Steven Christenson.